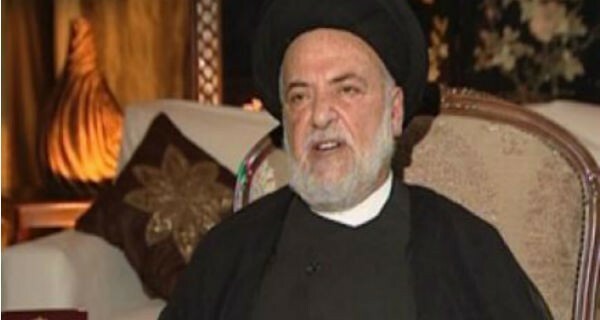 Prominent Lebanese Shiite cleric Sayyed Mohammad Hasan Al Amin says atheism is old and less dangerous than sectarian conflicts. Atheists in the Muslim and Arab world usually tend to hide their non-belief out of fear of their religious community. Once some of them started speaking up for their ideas, they were dismissed and rejected in their societies. Atheism or disbelief is an exception in our eastern societies, where communities are dominated by a religious and faithful nature. In fact, what our societies suffer from is the exaggeration in faith, especially with the transformation of political parties in our country into sectarian parties seeking intolerance and mutual mobilization. Prominent Lebanese Shiite cleric Sayyed Mohammad Hasan Al Amin explains the religious stance of atheism and says atheism is old and less dangerous than sectarian conflicts. “Atheism is not a recent phenomenon, it is a phenomenon that has been identified in the pre-Islamic period and beyond, and atheism exists in communities, but of course only represents a small percentage compared to the prevalence or religion,” Al Amin said. “Threats, or challenges currently facing Islam, are the sectarian conflicts which indirectly encourage and enhance atheism,” Al Amin said. “Such conflicts give the impression that religion is a source of violence and an obstacle against the growth of the communities,” he elaborated. Al Amin explained that the growth achieved in the west came in line with the conflict against church, and this is why some intellectuals in the Muslim world now link the aspired growth and development in their countries to the necessity of colliding with the religious institution. The Shiite cleric described atheism as “impossible to prove philosophically,” and said there are not enough proves to confirm it. “This means that Islam, although a religion that calls for belief in God and an invitation to faith, at the same time it looks at the account and reward and punishment as a divine affair,” he added. He said that human sanctions to atheism are only in place when he commits harmful acts to the community, and this confirms that the punishment for the atheist is not just for being an atheist but for causing an outrageous aggression against the doctrine of the community. Al Amin went on saying that he admits there has been some violations to these concepts throughout history and that several crimes have been committed in the name of religion. “This does not reflect the values of Islam, but powers that attempt to enhance their influence through claiming to protect Islam,” he said. “Islam does not prohibit friendships between Muslims and non-Muslims or even non-believers,” he concludes.